We offer a wide range of gliders, rockers and upholstered furniture for every child's room or nursery. We feature designs from Taylor Scott, Little Castle, Nurseryworks and DucDuc which offer the finest in comfort and style. 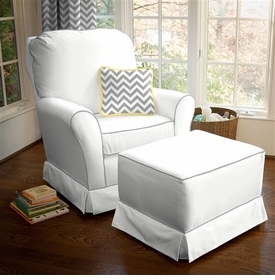 The gliders and rockers come in a variety of fabrics and colors and coordinate well with our bedding collections. Quality constructed and built to last, these chairs come with reinforced wood frames and soft cushions. Also available are ottomans to go with the gliders. 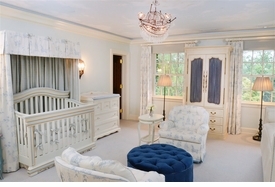 Relax and enjoy your baby in these wonderful chairs.